The CIMTB Levorin 2019 will happen in four stages. The principal season is in Araxá, Minas Gerais State. The race is a Stage Race Hors Class (160 points for UCI ranking) and happens in four days, between 25 to 28 April. The oder stage is Ouro Preto in Minas Gerais State as well. This is a Cross Country Olympic Class 1, Cross Country Short Track and host the UCI Junior Series stage and happens between 28 to 30 june. The other one is in Congonhas, Minas Gerais too. It is a Cross Country Marathon, part of the world calendar of the UCI MTB Marathon Series. This stage it will happen between 17 and 18 of august. The first stage of the season is in Petropólis, in Rio de Janeiro. The race will happen in March between 9 to 10. The race is a Stage Race Hors Class (SHC) that will happen between 25th and 28th of April, one week after the Semana Santa, what can make you enjoy the biggest party on the world and then go to a great race in a great place. Register now! The SHC race is divided in four stages. On Friday (3rd), at 2 p.m., the season will open with the Time Trail (XCT), one lap on the trail, the same of the Olympic Cross Country that will happen on Sunday. Saturday (4th), the competition will be a Short Track (XCC), starting at 8h30 a.m., and on Sunday (5th), the race ends with the Cross Country Olympic (XCO), stating at 2 p.m. The winner of the GC will be the rider with the smallest cumulative times from all three stages. This is the third straight year that CIMTB Araxá will have the SHC status by the UCI. In 2016, the event received athletes from different countries, for example, the polish Maja Wloszczowska, which won the race, then came back to Brazil, and won the silver in Olympic Games Rio 2016. Also, the Portuguese David Rosa, the Argentinian Catriel Soto, the Slovak Michal Lami, the Americans Todd Wells, Russell Finsterwald, Mary McConneloug, Michel Broderick, the Mexican Daniela Campuzano and many others from Serbia, Austria, Switzerland, Israel, Chile, Colombia, Costa Rica, Ecuador, as well as the Brazilians Henrique Avancini, Rubens Donizete Valeriano and Raiza Goulão, which competed at Rio 2016. The race will happened in the neighborhood called Barreiro where the famous Tauá Grande Hotel resort is located. 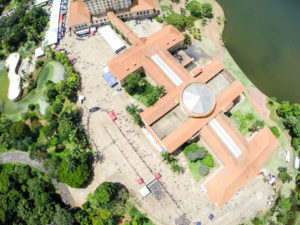 With 300 rooms, the Grande Hotel (www.tauaresorts.com.br) is the ideal place to host such huge mountain bike event. 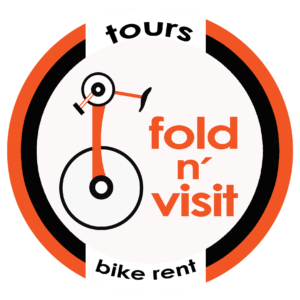 Around the Barreiro and in the city there are many other options of accommodation, making the event a success in America, bringing around 1,500 athletes to the city at this weekend. Check it out the 2016 video. The CIMTB Levorin team was responsible for building the mountain bike course for Rio Olympic Games in Rio de Janeiro, and has over than 20 years of experience in organizing the best mountain biking events in Brazil. The CIMTB 2017 season will have four races. Besides Araxá, there will be one in Carandaí at Fazenda Sossego, place for the CIMTB headquarters, on April 8thand 9th as Class2 XCO and a Class 3 XCC. After that, São João del-Rei will host the race on June 10th – 11th, classified as Class 1 XCO, a Class 3 XCC, as well as one race of the UCI Junior Series. The other stage will be held in Congonhas, as a XCM, part of the UCI MTB Marathon Series world calendar, on August 18th – 20th. Closing the season, São Paulo will host the race in september, between 22 to 24. Check it out the website of CIMTB Levorin. It is hot and can have some rain.